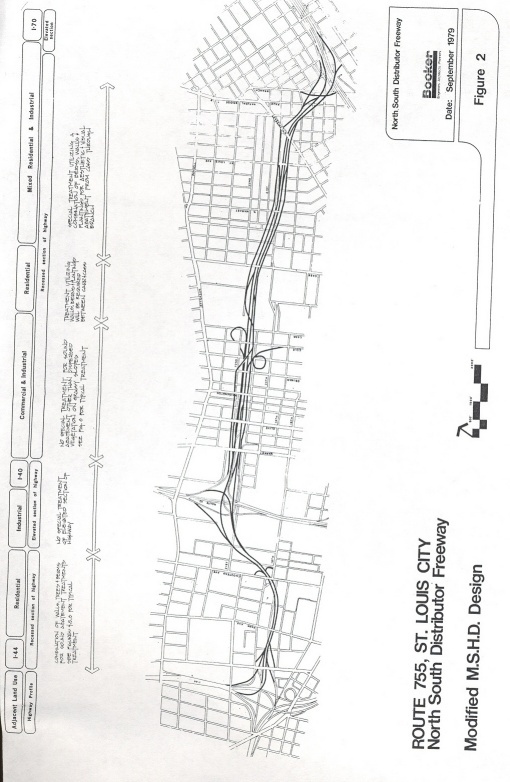 Below is the final map of the I-755 corridor in St. Louis before it was cancelled. It was called the North South Distributor Freeway. The interchanges at I-44, US 40, and I-70 were all partially constructed. The map was found out of a report at the historical manuscript collection at the University of Missouri - St. Louis by David Herman.